Ruchita Dar Shah is the Chief Mommy Officer of firstmomsclub – a mom’s only Facebook community andfirstmomsclub.in, a soon-to-be launched platform. Apart from being a full time mom to her two lovely sons, Ruchita started building FMC three years back with the objective of connecting women who, regardless of their vocation, were also mothers. It has now grown to 12000 mothers (and counting). Centrally managed by Ruchita, the group is one of the few platforms that focus on the woman behind the mother. Many similar platforms and forums end up becoming overwhelmingly about the children. The group is being followed up by the website next month. I find building this platform very fulfilling personally. Seeing mothers connecting and communicating with one anotherfrom all over the world is very rewarding, because this is why the group was created to begin with. Experiences as a woman in the media and advertising field? What do you think of opportunities for women after they have families? Before I had kids, I absolutely loved it. The mad world of advertising is probably one of the few professions out there that challenges you to be at your creative best every single day. As a woman, it’s also among the most equal opportunity professions. However, once I had kids, things changed dramatically largelybecause advertising is also one of the least likely professions to respect your need to go home on time! Advertising deadlines will never match or understand yourbaby’sdinnertimeor naptime deadlines. And so, after my second son, I figured that I couldn’t continue to give my work the kind of attention it deserved while being there for my boys as much as I wanted. There are several women in advertising who continue working uninterrupted but it’s not easy. Today, many corporates are helping moms with their second careers programs. For many women, moving to such an employer would be a good option. Using this opportunity to start something of your own is another. How much more fulfilling is your life now as an entrepreneur than as a working professional? For starters, it helps to be able to be more in control of my day. Since I work from home and work for myself I don’t have to think twice about prioritizing things like school events over work, on the days that demand it. Real fulfillment to me is seeing what I do make a real impact to women like myself. I feel proud of having created a platform where women from all walks of life connect with one another, share their concerns, ask each other for help and are able to share a laugh ensuring we don’t take ourselves and this whole motherhood journey too seriously. What’s in store for firstmomsclub.in after it launches on March 8 (Women’s Day)? FMC’s core goal - whether it is the group or the site, is to ensure that it is always a platform for its members to share, connect, communicate, to grow as individuals and professionals and to have fun in doing so. The first objective of the website is to allow moms to access relevant content a lot more easily. Through the website we will helpmompreneurs grow their businesses by opening up a bigger market for them. 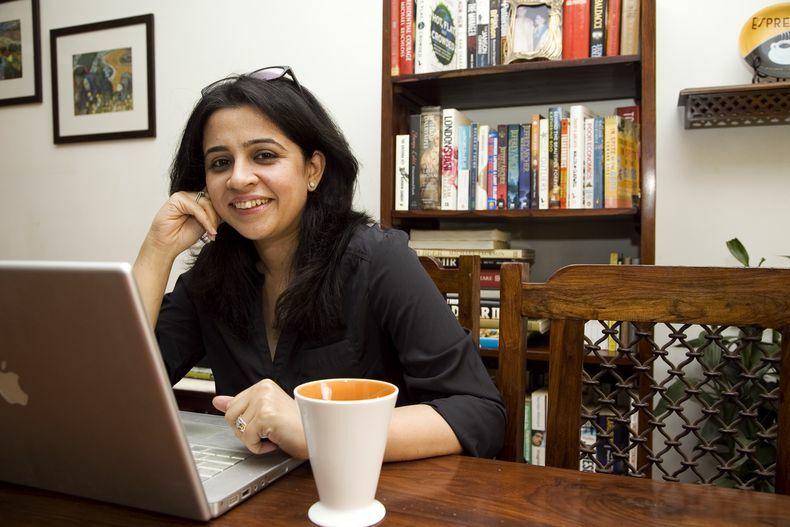 Firstmomsclub.in will also be an ideal platform for ‘mommybloggers’ to reach out to a wider audience. We are open to brands associating with us on the website – because we women always love a good bargain! The website will build on and grow based on the feedback we get from our members. In India since many of us have strong support systems at home, it’s a great opportunity to do what you really love and not what others expect you to do. I know several women who used this opportunity (having had time off when they had children) to branch out into something altogether different from what they were doing before they had kids and ended up being a lot happier and far more successful than they were likely to have been doing regular, unexciting jobs.Many of us find ourselves in jobs that we may or may not be thrilled doing. Motherhood is a great reason for us to relook at our priorities and our lives. I would urge SHEROES reading this to look at motherhood as an opportunity to reinvent yourself.